Congrats to Warhawks on your success in State and good luck U14s at Nationals! Click here to catch up on all Warhawks! 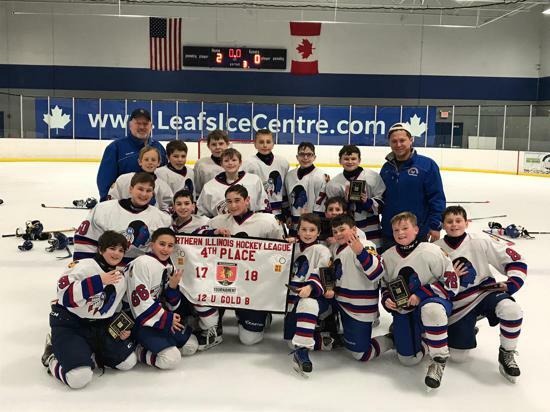 The NBHL 2019 Spring Program registration is now open. The Spring program will include skills sessions, practices, tournaments, exhibition games and internal games. See below for preseason skates, tryout dates and times, Bantam checking clinics and the program registration packet. 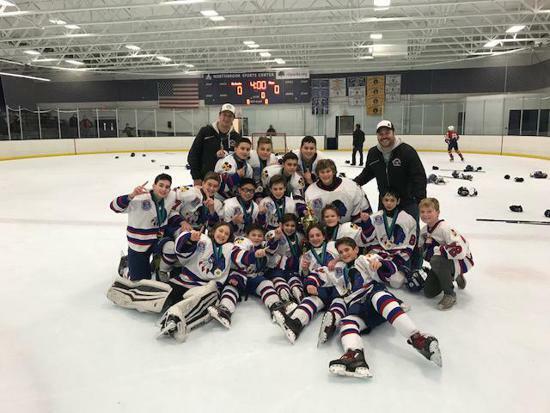 Congrats to Bantam 1, coached by Zach Loesch for placing second in the NIHL Elite division. After a successful season, the team faced the Irish Rovers in the finals but came up short by the score of 2-1. Congrats to the players for their sportsmanship and character, as they left it all on the ice. It was a memorable day for many of these players because it was their final game as a Bluehawk. Best of luck in your hockey careers and thank you for the many years of memories. 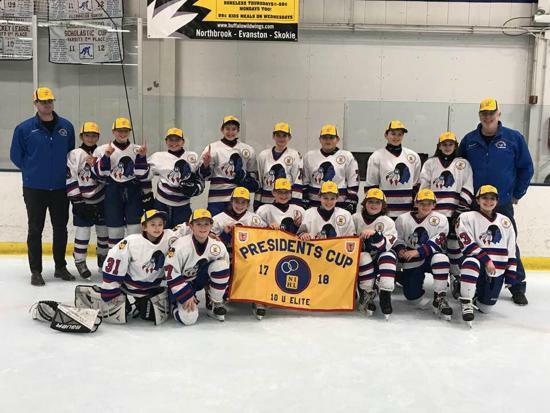 Congratulations to the Northbrook Bluehawks Bantam 1 team on clinching the NIHL Elite Presidents Cup Championship. 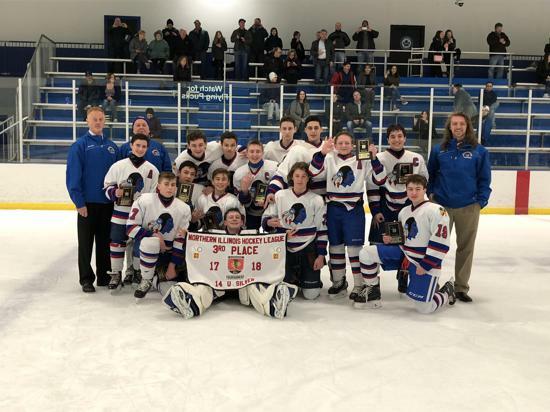 Bantam 1 coached by former Lake Superior State Laker Zach Loesch led the team to a 6-0-2 seeding round record and a 16-3-1 regular season record while compiling and average of 3.55 goals for per game and only allowing 1.20 goals against per game. The Bluehawks will have the higher seed heading into the NIHL Elite playoffs the weekend of February 16th. 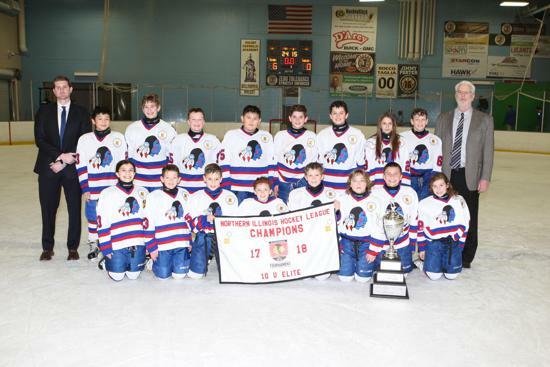 Congrats to our first Bantam NIHL Elite President Cup Champions since the 2012-2013 season. Best of luck to the team over the next few weeks. On January 2nd the Bluehawks SQ 3 team took time out of their busy hockey season to volunteer at Feed My Starving Children. Player's and their parents from Squirt 4 participated in Wreaths Across America on Sunday 12/15 at the Lake Zurich Cemetery. Here is what this what this nationwide event is about. "Each December on National Wreaths Across America Day, our mission to Remember, Honor and Teach is carried out by coordinating wreath-laying ceremonies at Arlington National Cemetery, as well as at more than 1,400 additional locations in all 50 U.S. states, at sea and abroad. 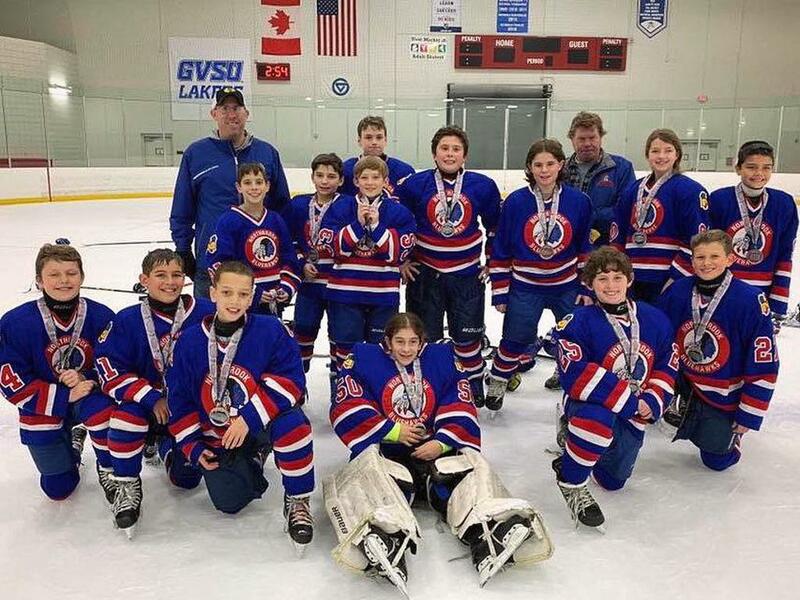 Congratulations to the Bluehawks’ PW 3 team on its 2nd place finish in Grand Rapids last weekend. 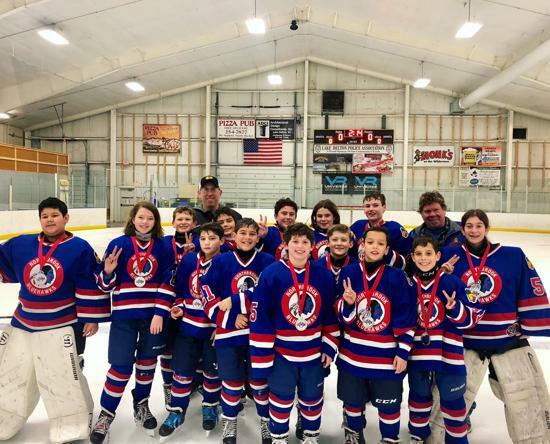 They went 2-1 in Round Robin play and in a hard fought final game PW 3 lost the championship game 2-1 in sudden-death overtime team. Congrats on a great weekend!! 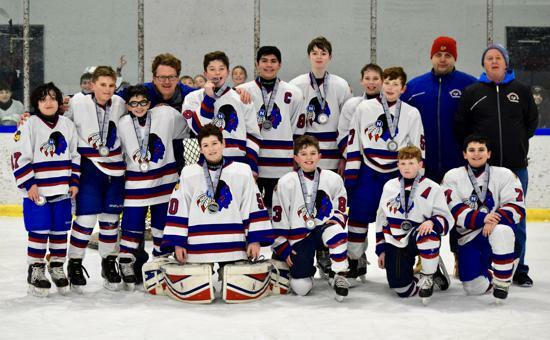 Congratulations to Bluehawks Bantam 3 on a great run in the Mad City Veterans Cup! The team went 3-0 in round robin play, but fell short in the final game losing 2-1. Congrats!!! 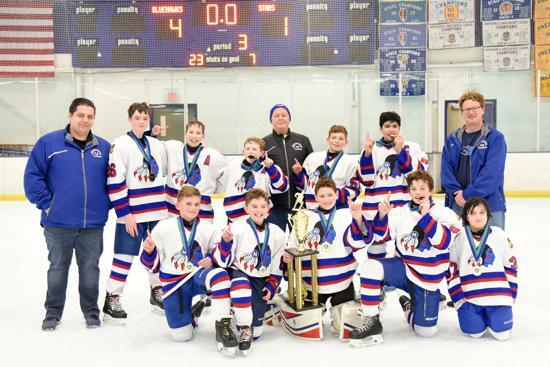 Congratulations to Bluehawks Bantam 3 on a great run in the Columbus Day Clash! The team went 1-1-1 in round robin play, but fell short in the final game losing 3-2 in a shootout Congrats!!! 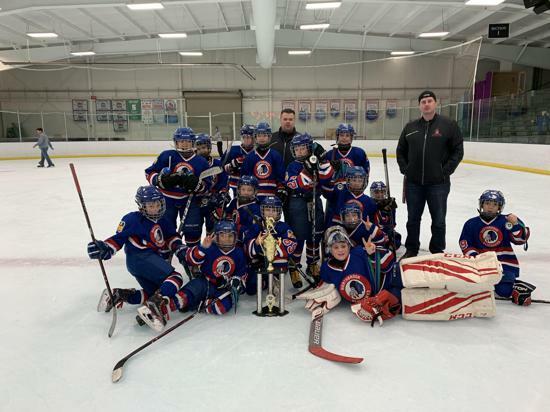 Congratulations to Bluehawks Squirt 1 on their championship win at the Belle Tire Back to School Classic! 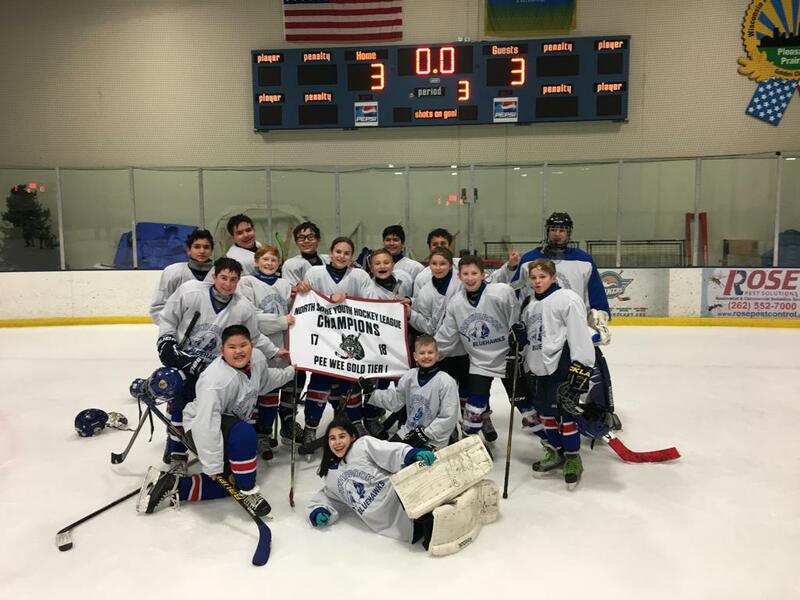 The team went 4-0-1, winning the championship game in a shootout. Congrats!!! Congratulations to Bluehawks Peewee 1 on a great run in the Belle Tire Back to School Classic! The team went 3-0-0 in round robin play, won a semi -final game in overtime but fell short in the final game. Congrats!!! 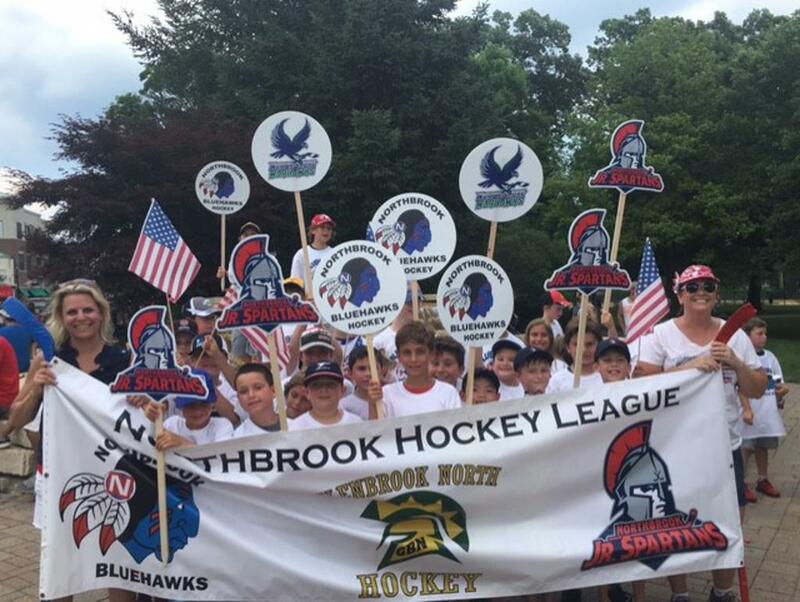 BLUEHAWKS WITH FESTIVE PARADE SIGNS! All 12U through 18U/High School are required to complete a baseline test prior to September 1, 2018. Please keep your receipt/proof of the baseline test as you will be required to send a copy to the team manager. 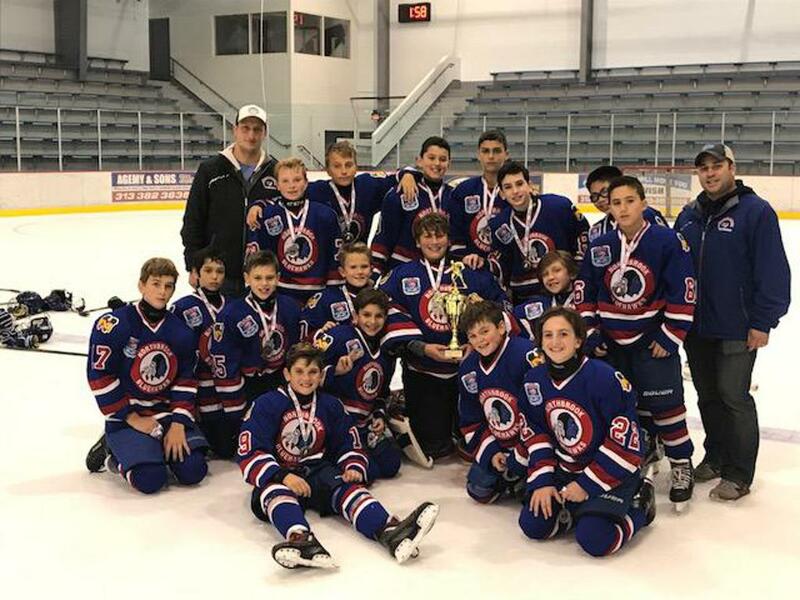 The Northbrook Bluehawks are pleased to announce that the club was awarded Central States Developmental Hockey League teams at the Squirt and Peewee Major levels. We are looking forward to our teams competing in this highly competitive league. The philosophy of our club is not changing. Please stay tuned for more information about tryouts and the upcoming Fall Season for all of our teams in the next few weeks. 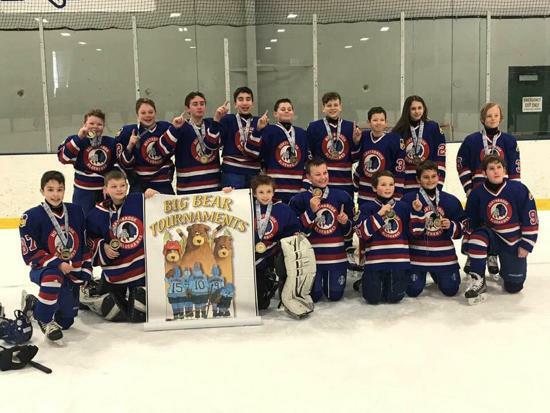 CONGRATULATIONS PEEWEE AA, PEEWEE A2 RED & PEEWEE A2 BLUE - GLACIER INVITATIONAL CHAMPIONS! 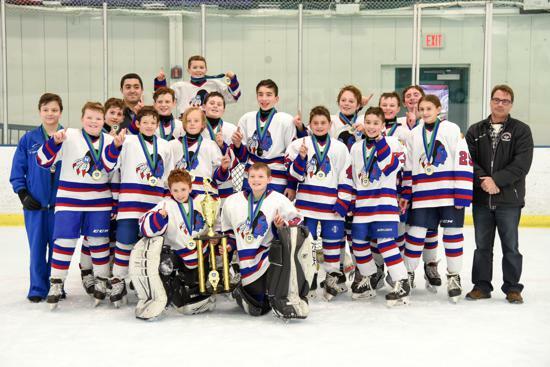 PEEWEE AA, A2 RED & A2 BLUE GLACIER INVITATIONAL CHAMPS! 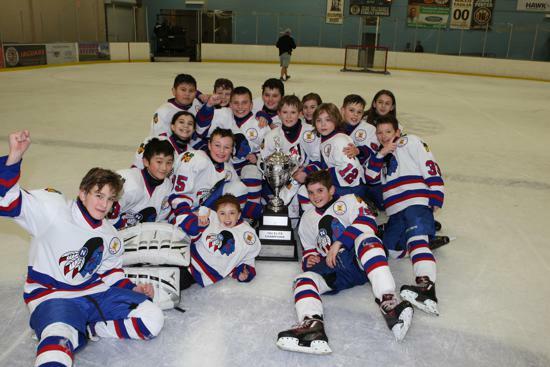 CONGRATULATIONS PEEWEE A2 RED - My Hockey Chicago Spring Classic Champions! 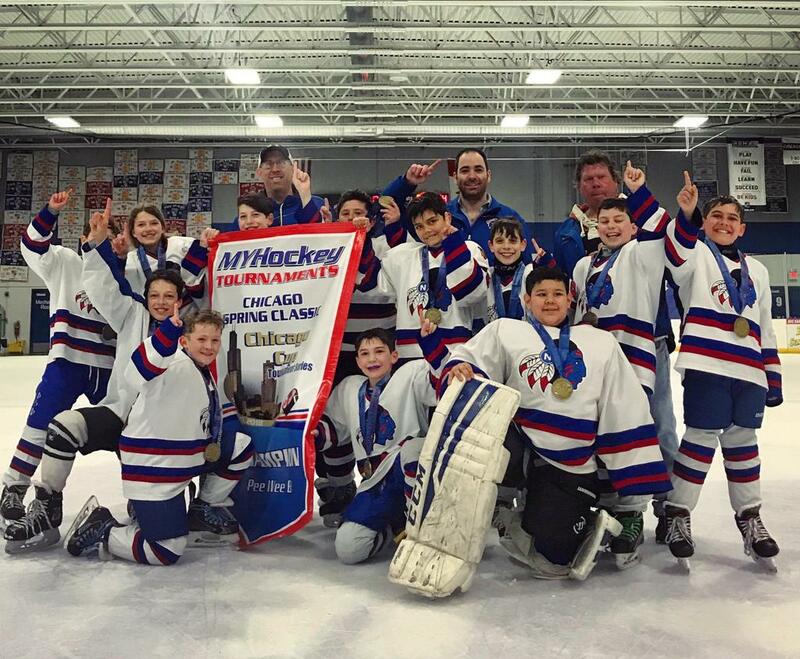 CONGRATULATIONS SQUIRT AA, PEEWEE AA & A and BANTAM AA & A on your NIHL BANNERS! CONGRATULATIONS PEEWEE HOUSE NSYHL GOLD TIER 1 CHAMPIONS! ©2019 Northbrook Bluehawks / SportsEngine. All Rights Reserved.